... Someone has to clap when I go by! I'm participating in: Cupcake Inspirations (Confetti), Catch the Bug (ATG), Fab'n'Funky (Focus on the Image), Craft Your Passion (ATG) and Sister Act (ATG). Kiva väriyhdistelmä ja upea sydänboordi. This made me smile, Jessi. Love the bright colors and heart border. Thanks so much for joining us at Catch the Bug this week! Thanks for joining in on our March Anything Challenge @ Catch the Bug! I love all of your projects and appreciate you taking the time to join us! I hope you will join us again very soon! 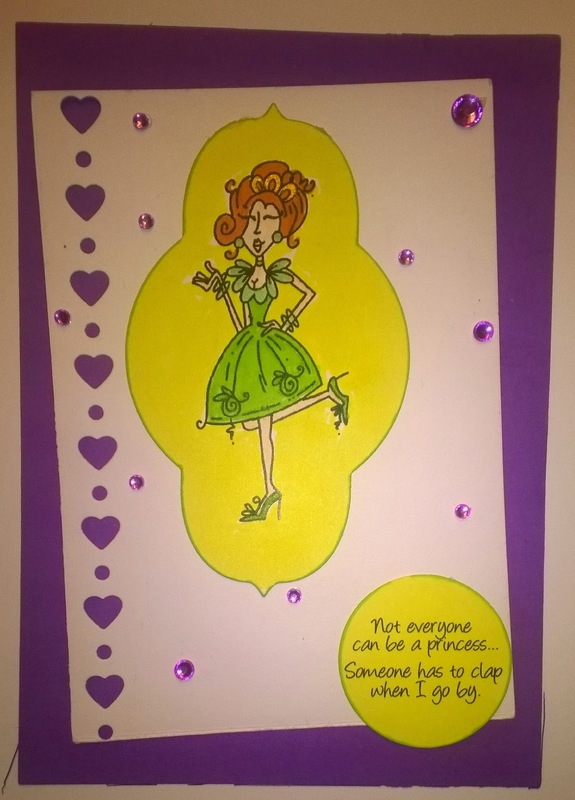 What a fun card and a great sentiment! Thanks so much for joining in the fun for the Cupcakes Inspirations 300th Challenge Celebration! Such a cute card! Fun sentiment! Thank you so much for joining us for our 300th challenge! Hahaha! Love that sentiment. Cute card! Thanks for playing our 300th Celebration at Cupcakes Inspiration!